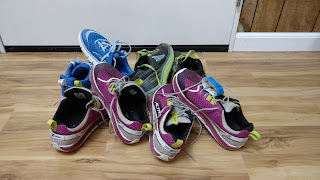 This week, I was thinking about how many miles I have scheduled for this training cycle and realized that my trusty Altra Torins (the original model) are not going to make it to the actual marathon. I have 2 main pairs of Altra Torins that I tend to alternate. One is termed my long run shoe, but I use them for hill runs occasionally. The other pair is used for tempo runs and hill runs. I have a pair of Altra Intuition 3.0s for treadmill running as they're not suitable for me for any type of elevation. 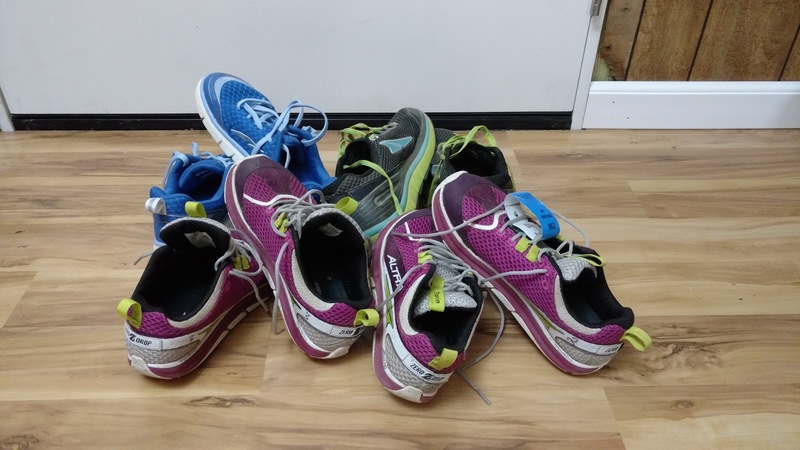 I also have a pair of Altra Olympus shoes for trail running. My shoes currently in rotation. The Torins are my favorite street shoe, but I can no longer find these in my size. So I went virtual shoe shopping. I ordered a pair of Altra Torin 2.5 and a pair of Altra Paradigm 2.0. 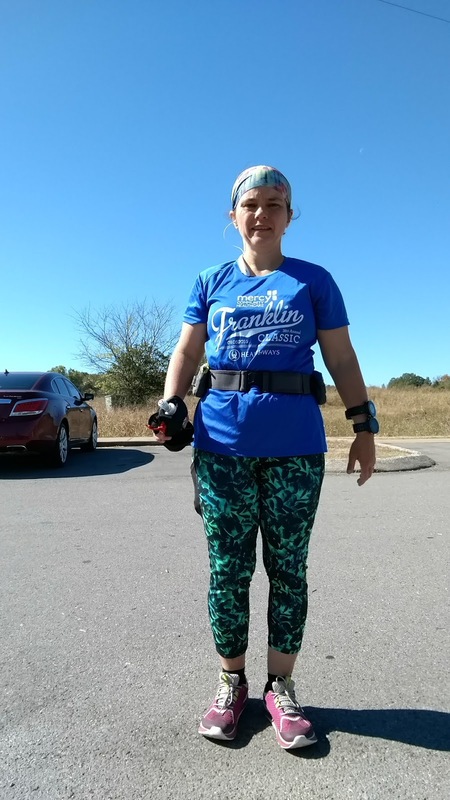 I have tried so hard to like the Paradigm line, but I can't use the original or the 1.5 version for running due to blisters. And other than the original Torin, I don't like the others of that line either. Why do they have to keep changing the shoes???? Anyway, my shoes came on Tuesday from Amazon (free returns rock!) so I got to try them both out this week. With my runs getting longer again, I decided to try out a trail I haven't run. I have run a connecting trail during a couple half marathons, but I have never run any more of it. 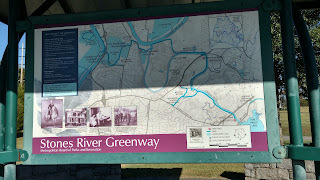 I parked at the south end of the Nashville Stones River Greenway. 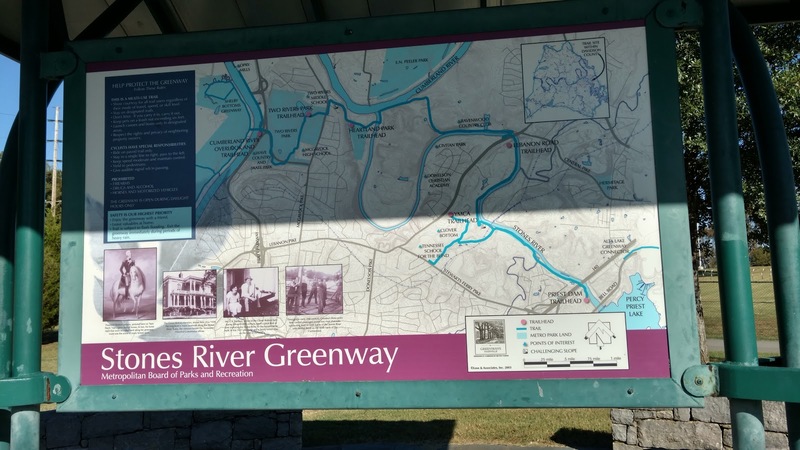 Not to be confused with the Murfreesboro Stones River Greenway. Seriously. They don't connect. A Google Map review said there was a bathroom at this end of the trail system, but there isn't. There is a dog park under construction and a water fountain inside the fence, but right now, there are just a couple of porta potties. 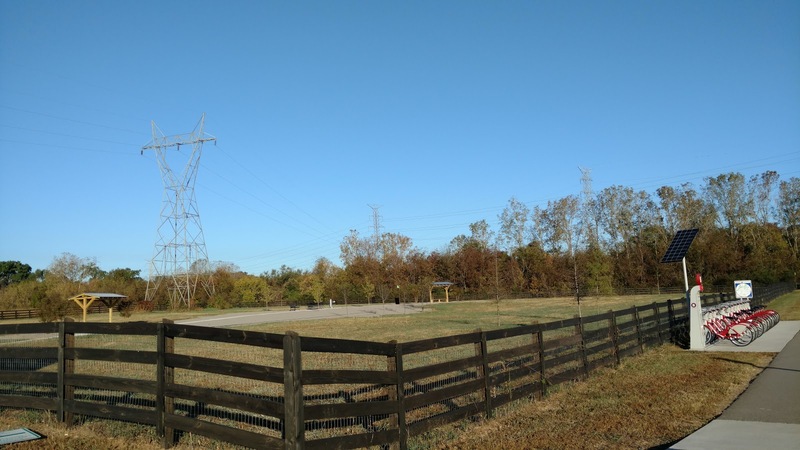 There are plans for permanent restrooms, so at some point, this will be a great trailhead. Since I haven't run this trail before, I did a bit of exploring, taking spur trails off to other trail heads. 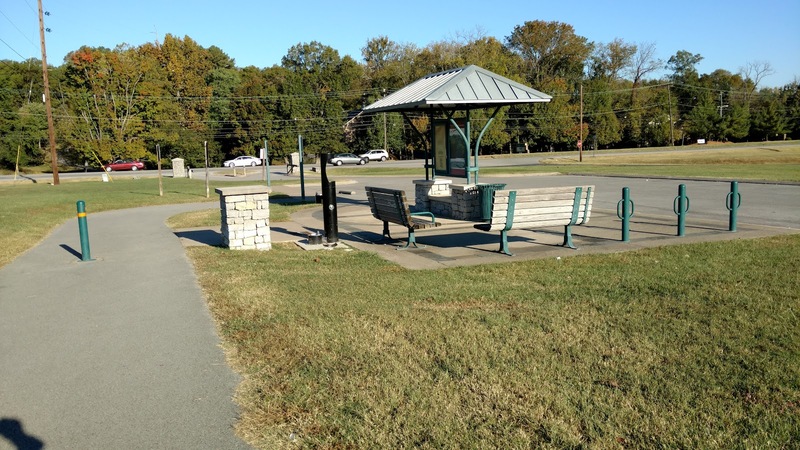 The first spur trail I took ended up stopping at Stewarts Ferry Pike. 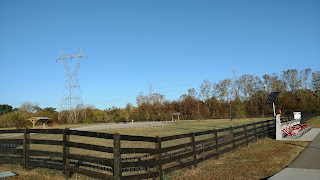 I didn't see anywhere to go, so I turned back and took the trail to the trailhead next to the Hermitage/Donelson YMCA. The YMCA trailhead is a parking lot with a nice water fountain for people, dogs and water bottles. Except it didn't dispense water very well. I was able to get a trickle from the water bottle area and filled my water bottle, but if I hadn't had a bottle, I'd have been out of luck. I hope it gets fixed. 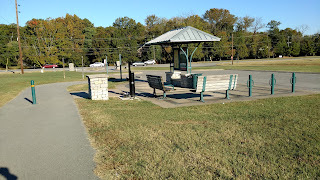 I returned to the main trail and kept going until I reached the Heartland Park trailhead, which is just a parking lot with a map and a trash can. I turned back. The map at the Heartland Park trailhead. 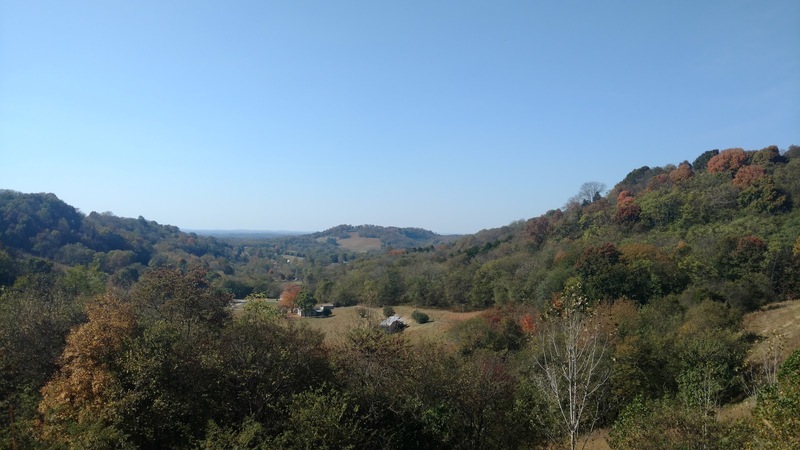 I was scheduled for a 14 mile run, but because I ran a bit more of the spur trails than I had intended, I figured I could get 15 by running a small loop that I thought was shown on the map. 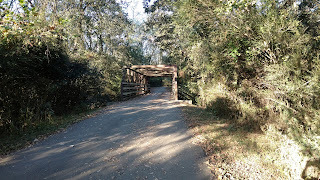 Instead, I ended up going out to where the Stewards Ferry Pike trail and the YMCA trail split off from each other and then back to the main trail. By then, I was going to hit 16 miles when I reached my truck. 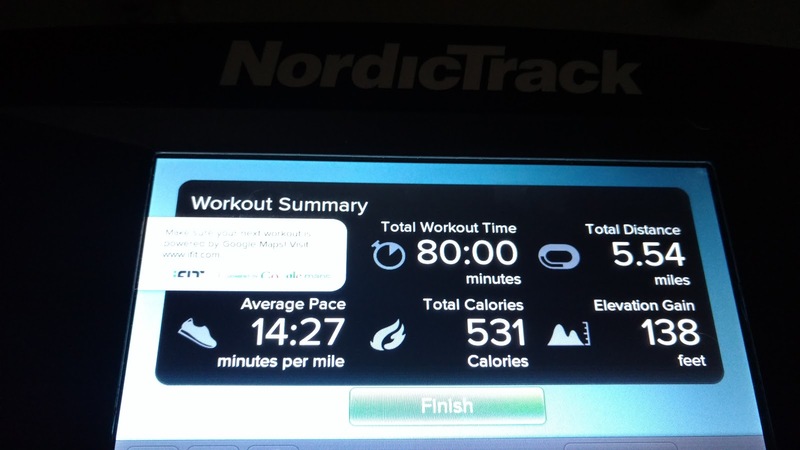 I normally do up to a half mile cool down, but I figured, why not? So I ran all the way to my truck. I managed to hit my overall average pace goal of 13:29 for the 16 miles. A few longer, a few shorter, with the last mile run at 12:18. Honestly, the reason the last mile was that was because I was worried I wouldn't run again if I walked! When I stopped running and started walking for my cool down, my legs hurt a lot. A very lot. I reached. I shouldn't have run that long. But I kept walking around and stopping to stretch. I also stopped at my truck and got a new water bottle. After about 15 minutes of walking, stretching and drinking, I felt much better. I like this trail. It's got some hills on it so I ended up getting about 900 feet of elevation gain for this particular run. That's good considering the Chattanooga Marathon has some 1100 feet of elevation gain to it. The absolute biggest issue with my run was the lack of water. 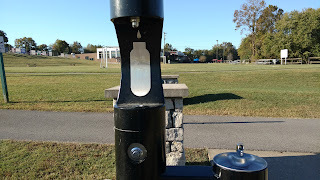 I did get some water from the YMCA trailhead, but it's a 1 mile trail (2 miles to go out to that trailhead and back to the main trail) to go out to get water. I ran with my 18 oz Salomon handheld that really holds about 16 oz, as well as 2-10 oz bottles on my belt. I refilled my handheld at the YMCA trailhead, so I had about 45 oz of water total for this run. Which is fine, but if I didn't want to do the extra 2 miles to refill at the YMCA trailhead, I'd be out of luck for any water on trail. Fuel for this run was 2 packets of instant grits, a slice of American cheese and a "sausage" patty about 2 hours before starting. During the run, I had 3 packs of gel and 6 shot bloks. I had a little bit of a queasy stomach for the last couple miles, but nothing too bad. I was pretty sore for the rest of the day and some of Monday, but I kept moving and that helped a lot. I did reach a bit for this run, but I'm pleased with the overall outcome. Rocking the purple shoes and shorts! 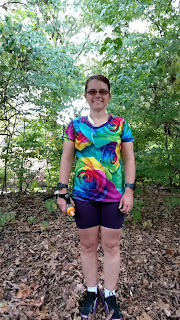 I got to try out my Altra Paradigm 2 shoes. They arrived via UPS and I picked them up on my way out the door to run. I also got my Torin 2.5s, but after trying both pairs I decided to go with the Paradigms. This was a mild run in mid-70s weather. I was pleased with my Paradigm shoes. They are a lot stiffer in the forefoot than my regular running shoes. I had a little soreness in my right forefoot after about 4 miles, but no other issues and no lingering issues after the run. I ran at River Park. I was tired and didn't want to do this run. So I figured going to the same trail where I'm used to running my tempo run would be a good thing and it was. I took a gel at mile one and had a good, if tiring, run. Back to my trusty treadmill for my easy run. I went back to my time based workout, running 4.5 minutes and walking for one minute. 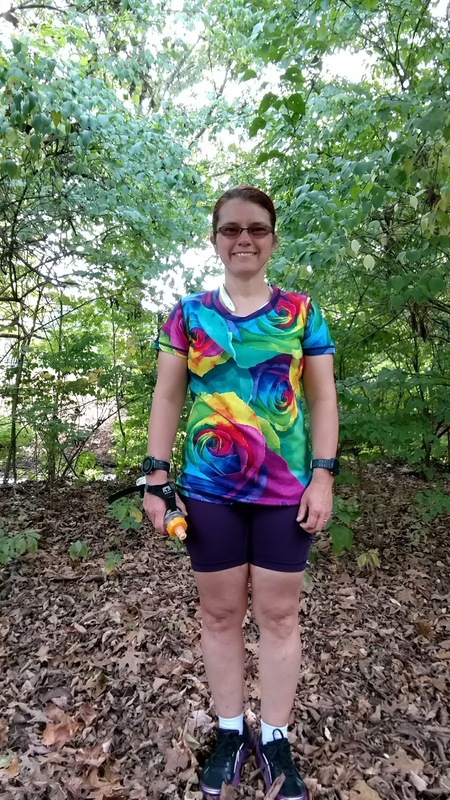 This time I wore the new Altra Torin 2.5. I don't like them for running. I probably should have stopped and taken them off so I could return them, but I didn't and now I'm stuck with them. I don't feel right returning them after running 5 miles in them. So I'll probably make them horse riding shoes. They're just too narrow in the toe box and my right foot toes were cramping. Disappointing from a company that touts wide, natural toe boxes. At least I have something I can do with them. Would really think there'd be more fall color here! During my half marathon training, my hill workout was on Friday, but this training cycle, I've switched that to Thursdays. I ran the hill near my house, my normal 4 mile route with mostly up or down. Only about a half mile of flat. The weather was great. 75°, sunny, with a nice breeze. I bumped my uphill run interval to 45 seconds from 30 seconds. I kept the 75 seconds of walking between. That worked out pretty well. I do want to do that again before bumping the run up to 60 seconds, but I felt good and had no issues on this run. I ran in the new Paradigm 2 shoes again and was pretty happy with them. They're a little shorter in the toe box than I'd like, but I didn't have any issues on this run. I'll adjust my laces to lock my ankle in if I think I'll have problems. I may have just found my next shoe. I'll add on the miles and see how it performs. Since this was a 4-run week, this was my last run of the week. This coming week, I'll pretty much repeat this week for my long run, tempo run and hill runs and add on an extra easy run.